The Semisitting is a lightweight product. It only weighs 11 kg. 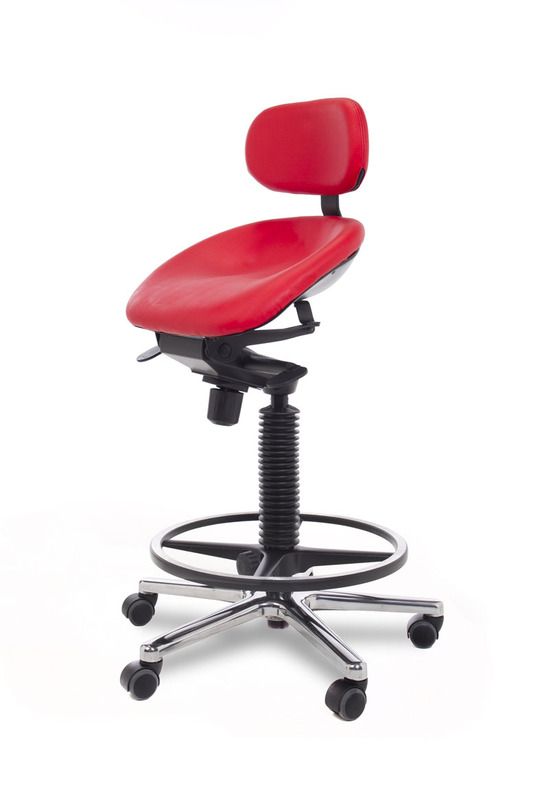 In our efforts to reduce the consumption of non-renewable resources, the company has led a study of the processes of production of this chair in order to minimize the use of raw materials and energy to manufacture. The materials used in the Semisitting have been specially selected for their low environmental impact, eliminating the use of hazardous chemicals in any of its components. – Polyurethane CFC-free foam and HCFC harmful to the environment. – In the manufacture of PVC components (chlorinated plastics) or chromium, mercury or lead is not used. – All wood used in production comes from controlled and renewable forestry. Currently, the Semisitting is made with 28% recycled materials. In our efforts to continue to increase this%, we continue to explore new materials and processes that enable us to improve this ratio. The aluminum used is 100% recycled. The use of recycled aluminum is a reduction of 95% of the energy needed for production compared to virgin aluminum. The coating of metal parts is done with powder containing no VOC nor solvents. Most pieces are mono-materials and systems union between pieces of different materials are made with detachable joints which ensure easy accessibility. Assembly time for this chair in the factory is less than 7 minutes. Semisitting production centre is certified according to ISO 9001 for almost 10 years and was recently awarded the ISO 14001 certification for its environmental management system. Packaging and shipping methods have been simplified in order to progressively reduce waste caused by the distribution of our products. – The cardboard used in packaging contains 20% recycled material. – The boxes are printed with 1 color, printed surface has been decreased and water-based inks are used. Its light weight and volume favor to create compact packaging, which increases the number of boxes per pallet by 50% compared to other models that helps get more energy efficient logistics and lower fuel consumption. 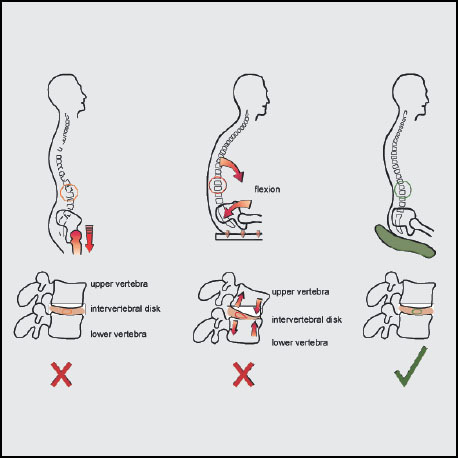 The Semisitting is specially designed to prevent postural risks in the workplace, favoring a correct position of the back and delaying the onset of fatigue in users. It features a selection of high quality materials that optimize the duration of the lifespan of the product. 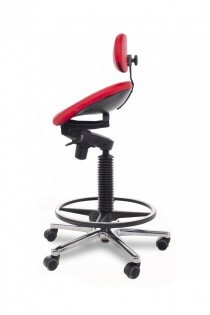 It is a product result of a thorough ergonomic study with very intuitive control systems. Each unit comes with a detailed instruction manual that helps the user to make proper use of the product. Its extensive catalog offers plenty of options for each user to customize the product and conform to users’ needs. This product requires no special maintenance, and needn’t be cleaned with special products. The product warranty period is 5 years. The recyclability of a product depends largely on the ease to disassemble and separate its elements by materials. The Semisitting can be dismantled in less than 8 minutes with common hand tools. To be recyclable, fabric must be composed of a single material. Most fabrics in catalog meet this requirement; in particular textiles used are 100% polyolefin. The Semisitting is over 95% recyclable, which means that with proper waste management the amount of waste sent to landfill could be minimized. From Semisitting we encourage the reuse of obsolete chairs by donating them to non-profit organizations and NGO.